Welcome to the Stokesdale Fire Departments website. We hope you find this site to be educational and informative. 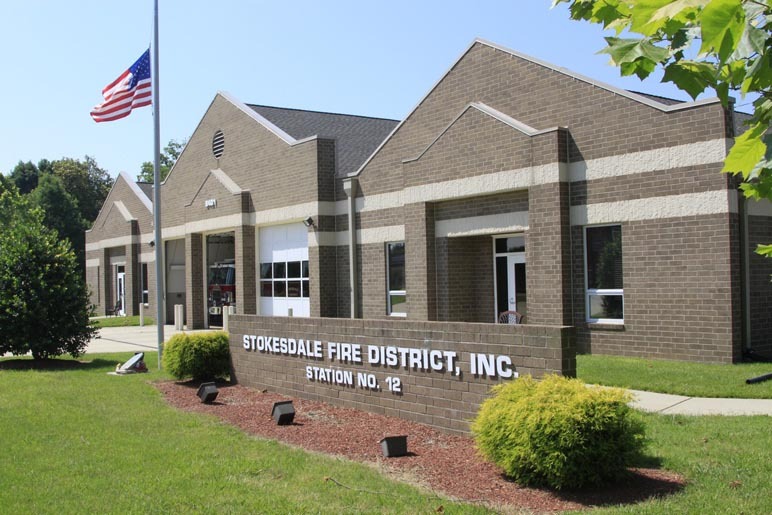 The Stokesdale Fire Department is located in Northwest Guilford County. We are a combination department operating out of 1 station covering 36 sq miles in Guilford and Rockingham counties. We are staffed with 32 volunteers supplemented by 10 full time personnel and 2 part time positions providing fire protection and medical responses with in our district. We are an ISO class 3 rated district. If you have any questions feel free to contact us at 336-643-0790 or stop by the station located at 8401 Hwy 158 Stokesdale N.C.